LaBounty/Dupree, the concert in Paris! 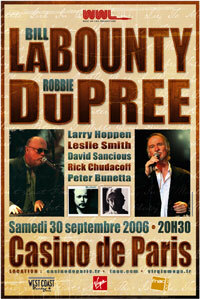 Bill LaBounty & Robbie Dupree return to Paris for the first concerts in more than 10 years... It promises to be a great pair of shows for true fans of West Coast Music. September 30 - Paris, France - Casino de Paris! Westcoast Rendez-Vous is proud to be one of the official sponsorship partners of this concert of Robbie Dupree and Bill LaBounty. "Pioneer", the New Kazu Matsui Project featuring 10 never released tracks! A master of the shakuhachi (a Japanese traditional bamboo flute), New Age artist Kazu Matsui was born in Tokyo on June 5, 1954. After spending the mid-1970s travelling through Europe and India, he studied ethnic arts at UCLA, returning to Tokyo to teach Educational Theories at Toyoeiwa Woman's University. Matsui concurrently mounted his music career with sessions including Danny O'Keefe's 1979 LP The Global Blues, subsequently appearing on sessions headlined by Ry Cooder and Joni Mitchell. 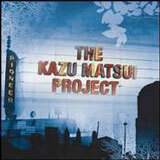 Kazu Matsui started his "Kazu Matsui Project" in 1981 and released 7 albums. "Pioneer" his latest realease offers 10 unreleased track in smooth jazz vein and a selection of hits he made through the years with artist such as Robben Ford, Philip Ingram, Carl Anderson, Jeff Day, Tom Funderburk and many other great artist from albums "Marine Fantasia", "Time no longer" and "Love's a Heartache". 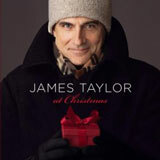 Following the great success of "A christmas album" produced by HallMark in 2004, Columbia will release on October 10th "At Christmas" the new James Taylor Christmas album! 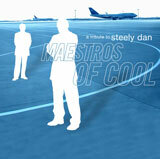 “MAESTROS OF COOL” is a fabulous compilation of cover versions of songs from Steely Dan. “MAESTROS OF COOL” is far too good for the tribute album stamp. What we´ve got here is a compilation disc featuring an incredibly wide assemblage of musicians, most of whom, although likely unknown to listeners, have not only been influenced by Steely Dan, but have gone on to create spectacular and unique music that ventures far beyond that of their mentors. “MAESTROS OF COOL” presents 24 tracks on 2 CDs with artists from the USA, EUROPE and AUSTRALIA. New Zealand´s Nathan Haines featuring Blur singer Damon Albarn delivers a marvelous version of “FM”, while former Steely Dan musical director John Beasley´s Stereo comes up with an extraordinary new song sounding somewhere between Steely Dan and Herb Alpert. Singer/songwriter Debbie Deane gives "Any World" a great new flavor, keeping the song fresh and eager. Then British soul funk group Raw Stylus, (featuring Donald Fagen plus Steely Dan players Bernard Purdie, Randy Brecker and Elliott Randall) coming in with their own composition, which embodies portions of Steely Dan´s composition “Josie” by Alex Ligertwood. The majestic “Babylon Sisters” is performed by David Garfield and his band (including former Steely Dan members Bob Sheppard and Bernard Purdie plus guitarist Michael Landau). Another imposing presence is guitarist Chuck Loeb, who follows with the slow ballad “Maxine”, “Maxine” is not technically a Steely Dan song, but it´s such a beautiful piece featuring John Patitucci and Dave Weckl, we felt it needed to be a part of this project. Alex Gunia & Philipp van Endert, two of Germany´s top jazz guitarists - deliver a marvelous acoustic version of “Third World Man” - magnificently re-worked. Another Steely Dan player was Cornelius Bumpus. His arrangement of the Steely Dan tune "Chain Lightning" is a creative, hypnotic, slow blues simmer featuring Bumpus´ richest tenor work amidst a bed of punchy organ harmonies and solo. Jerry Lopez with Santa Fe & The Fat City Horns! Jerry Lopez strives to achieve excellence in every endeavor that he pursues. From record and jingle production and musical direction to consultation in every area of music and recording. The list of artists that Jerry has performed with, recorded for, and produced, is longer than this website allows, but some of them include: Ricky Martin, Tom Scott, Bill Champlin, Jay Graydon, Larry Williams, Grover Washington Jr., and many many more. His first cd "Negrita" is unfortunetly sold-out but you can download the music at ITUNES and other digital media download sites. For 30 years Santa Fe has been one of Las Vegas' Crown Jewels, never giving less than 100% to their audiences. "This band is the culmination of the dreams of all of the individual musicians in the band. We all dreamed about what the “ideal” gig would be, and it went something like this:To play music that moved, challenged and inspired us without the usual external restrictions, influences, or boundaries that come with every other (paying)gig,… To make that music with people we love and respect both personally and musically,….. And to be able to share it with others. That is what Santa Fe & the Fat City horns is about." 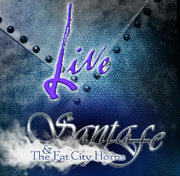 Santa Fe & The Fat City Horns's new "Live" Double DVD and CD packages are here! Recorded live in the TRAX Nighclub of the Palace Station in July 2005, the set features 20 songs including Pages cover song "Take my heart away" and Bill Champlin's Love is gonna find you. 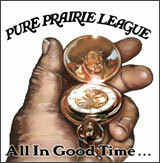 Pure Prairie League is back "all in good time". “All In Good Time” hearkens back to the early years, yet does so with a seasoned eye on the future. “We set out to make a record that followed in the footsteps of our first two albums; simple arrangements, lots of harmony, but all new songs” recalls Craig. The return of founding member Craig Fuller, bringing his unmistakable vocals and songwriting talents to a new level, takes the listener on a journey that comes full circle. You’ll recognize the passion and the power of Pure Prairie League’s musical vision – the harmonies, the lyrics, the musicianship and the honesty – that sets them apart, reinforcing their status as originals, and at the same time, as leaders in the field. The contributions of veteran bassist/vocalist Mike Reilly, combined with the rock-solid rhythm laid down by drummer Rick Schell, provide PPL with the framework for their trademark sound. Add in the soaring vocals and guitar work of Curtis Wright, the multifaceted gifts of Fats Kaplin on pedal steel guitar, fiddle, mandolin and accordion, and you’ve got the best of the best; old and new, seasoned yet fresh, unmistakably Pure Prairie League. 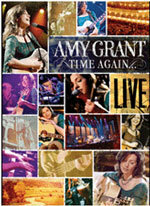 “TIME AGAIN…AMY GRANT LIVE” is Amy Grant’s first live recording in 25 years. From the stage at Bass Hall in Fort Worth Texas, Amy weaves a retrospective journey through a lifetime’s worth of her most treasured songs in her 30-year career. Bonus material includes a new studio recording of "In A Little While” and a DVD of behind the scenes/making-of footage, song-by-song descriptions, breakfast with Amy’s fan club, “fan cam” footage, “hanging with the band” and more. 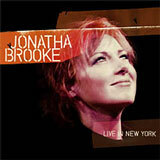 Jonatha says about the new Live cd/dvd: "The show at the Anspacher, a small theatre in the larger complex of theatres at the Public Theatre in New York, was a real fantasy for me. I'd always dreamed of doing an extended run in my new home town, really digging in to a setting, a vibe, and choosing the music that would span a whole range of dynamics. All presented in a space where the audience is right there… every nuance, every expression, all the interaction between the musicians is seen, felt, heard. We got some great footage, the sound was amazing, the audience was lovely. I love what we got. From "damn everything but the circus" to "Landmine" to "no net below." There's a real journey. My band was so awesome for the whole ten nights. This DVD/CD is a dream come true. It's raw, and real, it's exactly how it went down. There are tiny solo and duo songs and large, epic rockers. Goffrey really outdid himself on "Inconsolable" and Ann Marie brings a whole new vibe to "Sally" with her clarinet. I am a lucky lucky girl. Anyway, I hope you love it as much as I do." 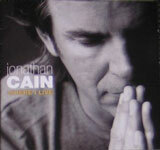 Jonathan Cain (Journey, Bad English) released his new cd "Where I Live". You can now purchase it at FYE.com. A Christmas album by Hall & Oates! Daryl Hall & John Oates will release "Home for Christmas" on October 3rd, a beautifully recorded and heartfelt Holiday album. Released on their own label U-Watch/DKE Records and distributed by ICON Music Entertainment Services, the album, with a portion of proceeds donated to the U.S. Marine Corps charity Toys for Tots, will be available exclusively at all Trans World Entertainment outlets, including F.Y.E., Sam Goody, Strawberries Music, Wherehouse Entertainment, Suncoast, Spec's, Second Spin, and Coconuts Music and Movies. The duo will also serve as spokesmen for the 2006 Toys For Tots fundraising campaign. "We wanted to do an album that expressed the true spirit of Christmas, that of peace, traditions, family and friends coming together," says Daryl Hall. "The songs, some familiar, but adapted to our style, others more obscure, along with two originals, are about ecstasy, grace, poignancy, love and, of course, soul." 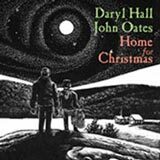 Produced by Daryl Hall with longtime collaborator T-Bone Wolk and Greg Bieck, "Home for Christmas," with special cover art designed by Michael McCurdy, features Daryl Hall and John Oates giving a new and original life to traditional pieces, including "The First Noel," "It Came Upon a Midnight Clear," "The Christmas Song," "Mary Had a Baby," "Oh Holy Night" and a re-recording of "Jingle Bell Rock," a promotional-only single that was a hit for the duo for many years. Daryl and John also penned a pair of original tracks for the collection, "Home for Christmas" and "No Child Should Ever Cry On Christmas."